On Monday this week, MEC for finance economic development and tourism, unveiled a new head for the provincial treasury to replace embattled Nombedesho Nkamba who was forced out of the department in October. 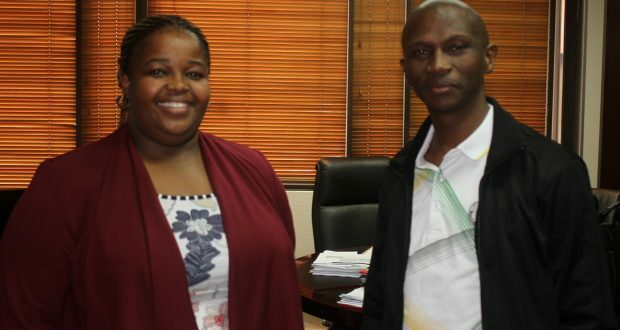 In a statement released by the department of provincial treasury announced that MEC for finance and economic development and tourism, Skhumbuzo Kholwane appointed Gugu Mashiteng, as the acting head of provincial treasury. Mashiteng was the chief financial officer in the department of education. “The Acting Head Official, Ms Mashiteng will lead an equally motivated team to continue providing expert guidance to departments, public entities and municipalities on resource management and financial governance amongst other responsibilities,” said departmental spokesperson, Letshela Jonas. Little is known about Mashiteng, however, she is not new in the provincial treasury and that she once worked in that department and was recruited to the department of education buy then MEC Mathulare Coleman. When Kholwane presented the province’s provincial adjustment budget speech last month, Nkamba was conspicuous by her absence. “Currently, she’s on sick leave until the 14th December, that’s why she’s not here,” said Kholwane at the time. Ironically, Nkamba has been achieving clean audits for her department, but that was not enough to save her from the wrath of the militant trade union, National Health and Allied Workers Union (NEHAWU). The trade union handed over a memorandum to Mpumalanga premier’s office in which they are making damning allegations against her, particularly her role in the R70 million Mandela Memorial scandal. It is unclear what the allegations against Nkamba are in this regard, however, an investigation by Ziwaphi found that former director-general, Nonhlanhla Mkhize, personally issued several instructions to Standard Bank to make payments of over R40 million to Carol Bouwer’s company between December 2013 and January 2014. “You are authorized to transfer R21 416 484.60 (Twenty One Million Four Hundred and Sixteen Thousand Four Hundred and Eighty Four Rand Sixty Cents Only),” reads one of three letters dated 12 December 2013. Six days later, another letter directed the bank to transfer R18 379 773.40 to the bank account of Carol Bouwer Productions, thus completing the payment of R39 796 258.00. In a report dated 11 December 2013 from Carol Bouwer, she states that she, in fact needed less money than the R39,7 million. “Further to the discussions held regarding the cancellation of the last two events due to bad weather predicted, we have done our best to negotiate with suppliers for reduced cancellation fees and where possible non payment at all,” reads the report titled “Renegotiated Quote”. In January 2014, however, almost out of the blue, another letter was issued directing Standard Bank to pay R4 500 000. This was accompanied by an invoice titled “Contingency”, this was despite that the R39,7 million included contingency costs amounting to R3 484 935.00. Mkhize fell out of favour with former premier Mabuza and left the Mpumalanga provincial government unceremoniously before the expiry of her five-year term. 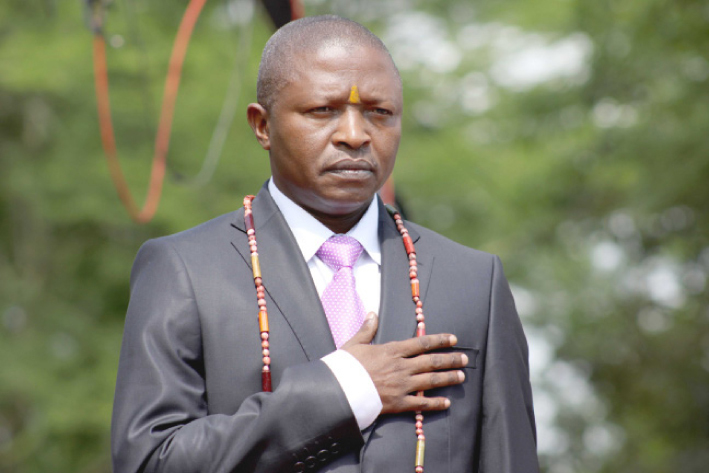 In 2017, Mabuza, told the Mpumalanga provincial legislature that the Public Protector was investigating the alleged corruption linked to the payments, but at the time of publishing, the Public Protector’s office had not responded to written questions. Spokesperson for the Public Protector cited load shedding as the reason they could not get a comprehensive response to the Ziwaphi enquiry. Another allegation against Nkamba was that she did not have a security clearance, which is a requirement for all senior government officials. On this allegation, Mkhize said that Nkamba had a security clearance, however, an investigation by Ziwaphi discovered that she in fact underwent a “suitability assessment” which is performed on all candidates shortlisted for a post, whether they are get appointed or not. According to the Department of Public Service and Administration (DPSA), heads of department must, individually, undergo an intensive security vetting process, in addition to the suitability checks that Mkhize was referring to. “Departments are required to conduct personnel suitability checks for all shortlisted candidates, which cover criminal record checks, citizenship verification, financial/ asset record checks, qualification/ study verification, and previous employment verification. 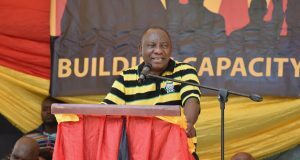 “Once an individual has been appointed, he/she must be subjected to security clearance in accordance with public service regulations, which require security clearance be undertaken only where the duties attached to the post necessitate it,” said department of public service administration (DPSA) spokesperson, Dumisani Nkwamba at the time. When Nkamba’s security clearance matter first came to the fore in 2015, she failed to confirm or deny that she has a security clearance. “I’m in a meeting,” she said in an SMS response.